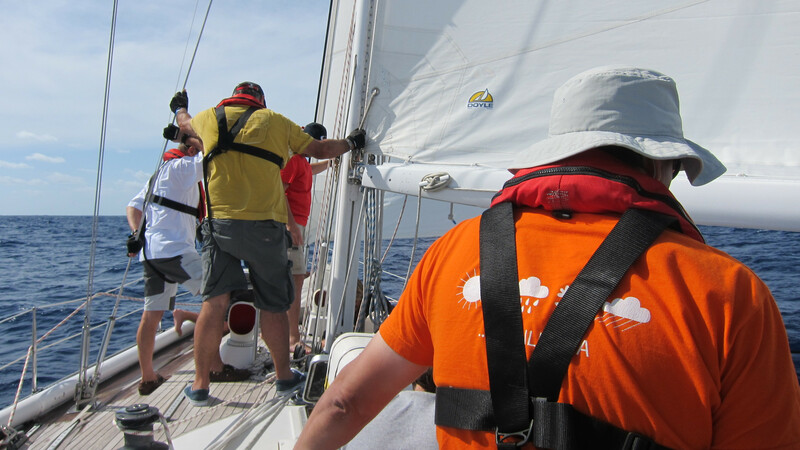 The need for more practically oriented sailing courses is on high demand as boats grow in size and as we are welcoming new members in our sailing community. We usually organize a few events every year, where people can hone their skills in both practical boat handling and navigation. You can be a complete novice or already a more seasoned sailor, we adapt the program accordingly. We also arrange courses in night navigation offshore, high seas route planning and boat maintenance. Sea safety is a major part of all our courses. We normally use a Swan 51 “Eira” as educational platform. she has the necessary level of equipment and general properties for demanding offshore courses. She can easily accommodate a larger crew allowing us to learn proper watch systems, crew dynamics and other factors involved in attending long hauls. We also do “own boat tuition”. If you are about to buy or have already bought a yacht and feel a little uncomfortable about the handling we can do the initial boat-handling bit together. It’s amazing what a little confidence does to your overall handling skills. Our instructors have a life long experience of yachts and yachting, both on a theoretical and practical level. The didactics used is based on learning by doing mixed with a firm “hands on personal guidance”. This year we organize two events. We hope to see you on our courses! For more information please send us a message via our “contact” section or the events below. Details and booking can be found here.